The Lotus Eco Village is located near virgin Ramchandi Beach on the way to Konark (from Puri). 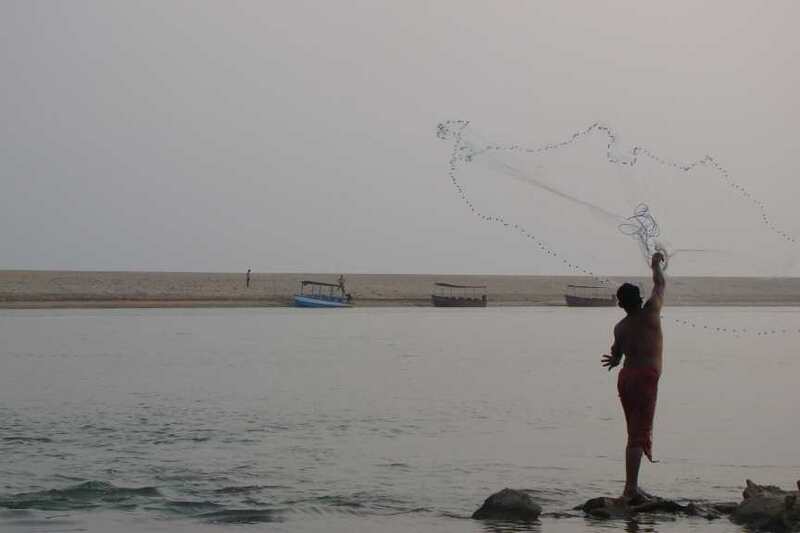 It is one of the most picturesque beaches of Orissa. Located just 7 Km from Konark, Orissa, it is named after the presiding deity of Konark, Goddess Ramchandi. The resort location is fantastic and with it’s huts, the stay is fabulous. Though the resort is not that well maintained, it is still worth a visit and stay. You will have more fun if you are with friends (or group). The restaurant is average, so no points for food. The small, private beach is great fun with kids. Additionally, the beach is clean and there is ample space for a nice walk in the evening. Just outside the resort (walk for 2 mins) there is a nice bank with rocks, on which, you can sit, relax and enjoy during evening. For those, who just want to relax during vacation, this is a great stay option. Categories: Travel | Tags: beach, holidays, Konark, Orissa, picturesque beaches, puri, resort, travel, vacation | Permalink.